This was probably the year that was referred to as “problematic” time and time again, however today we are not going to focus on the bad. Let’s focus on some of the best, in my opinion, popular culture 2016 offered us. Kylie Jenner was right by saying that 2016 was the year that everyone was just “realising stuff”, and what I realised most is that I love me some good music, film and TV! What a brilliant musical year it was, it seemed like everyone had their masterpiece ready for release! Although much talent was lost, new talent stepped up their game to make up for all the tragedies. Last year I had plenty of albums on repeat, many that I will definitely listen to for many more years without growing tired of the songs. My musical 2016 all started with Anti by Rihanna. If you’d ask me to name but one favourite song it is as if you’re asking me to choose my favourite child; impossible. The song that I am jamming to most, however, is definitely either B*tch Better Have My Money or Needed Me. I got to experience Rihanna perform most of this album live, and let me just tell you that those hours were probably some of the best hours of 2016. Another album that I’ve been listening to quite a lot is I Like It When You Sleep, for You Are So Beautiful yet So Unaware of It by The 1975. It goes without saying that this is my favourite band of all time and their music touches my soul. Zayn broke my heart into tiny little pieces when he announced he had left One Direction, all was forgiven and forgotten however when he released his solo album Mind of Mine. The album exceeded my expectations and immediately had me waiting for his first solo tour! Drake had me shook when he released his album Views, I went from lowkey liking his songs to ‘I know all the lyrics’ within days. Bastille one again did it and slayed with their album Wild World, the fact that they are capable of singing sad lyrics about politics and other serious topics in an upbeat song is just brilliant. Put your pinkie rings up to the moon because I am obviously mentioning the masterpiece 24k Magic by Bruno Mars. Seriously, how does he do it? ‘It’ meaning the outfits, the dances, the music, everything! When I hear Bruno I can’t sit still, I instantly start singing and dancing until the song is over and then I just put it on repeat! With my Netflix addiction I spend many hours binge-watching series while I have plenty of work still to be completed. Some of the things that I watched last year that were absolutely addictive were; Black-Ish, Orange Is the New Black, How to Get Away With Murder, Jane the Virgin, Gossip Girl, The Originals and New Girl. Now most of these aren’t exactly new and I certainly have plenty of episodes to catch up on. However if you are looking for some binge-worthy series to start watching this year I could totally recommend these ones. Black-Ish is a hilarious comedy about an upperclass black family living in the suburbs in LA. Both parents have well-paid jobs and their children grew up in a dominantly white environment, leaving them very ignorant to the fact that they are black. This all results in hilarious attempts of their parents to teach their children the struggles of black people. I think Orange Is the New Black and How to Get Away With Murder go without explaining, wether you’re watching them or not I am pretty sure that you already know what the main plot is about by now. Jane the Virgin is a hilarious take on the Spanish telenovelas and revolves around Jane, who is accidentally inseminated with a stranger’s sperm, while she is still a virgin. No, I am not making this up. If you’re looking for a feel-good kind of series than this is it, the whole thing is just so over the top cliche and dramatic that you have no choice but to instantly fall in love with the story! Gossip Girl, because not a year goes by without me watching every single episode at least once again. Chuck and Blair will forever be my all time favourite TV couple, what an epic love story. The Originals, what I like to refer to as the better version of The Vampire Diaries. Do not get me wrong, I love both very much, however I know that The Vampire Diaries is not for everyone. Therefore I always tend to recommend The Originals instead, the story is about the original vampire family that struggle to balance a ‘normal’ family relationship, keeping enemies away and their complicated love lives. Pride, honour, betrayal and love are central themes. It is filmed in New Orleans and does a wonderful job in displaying the city’s beauty. New Girl is probably one of my favourite comedies ever. Many serious topics are touched upon by the characters, all in incredibly funny ways. I honestly don’t know how many times I had to pause an episode just so I laugh out loud without missing any of the other hilarious comments made by the characters. Warning: do not eat or drink while watching this. Trust me, I nearly choked on my food when I had to laugh just after taking a bite. In all honesty, I don’t watch films that often. When the time comes to decide what to watch on Netflix, I’d rather watch 5 episodes of a series than 1 or 2 films. Why? I love to get completely lost in the fictional worlds of series, they last so much longer and grant you more time to relate to characters whereas films always end after a few hours. This doesn’t mean that I don’t like watching films, I just prefer to watch series. Last year, however, some of my favourite films were: Ride Along 2, Fantastic Beasts and Where to Find Them, He Named Me Malala and The Hunger Games: Mockingjay Part 2. 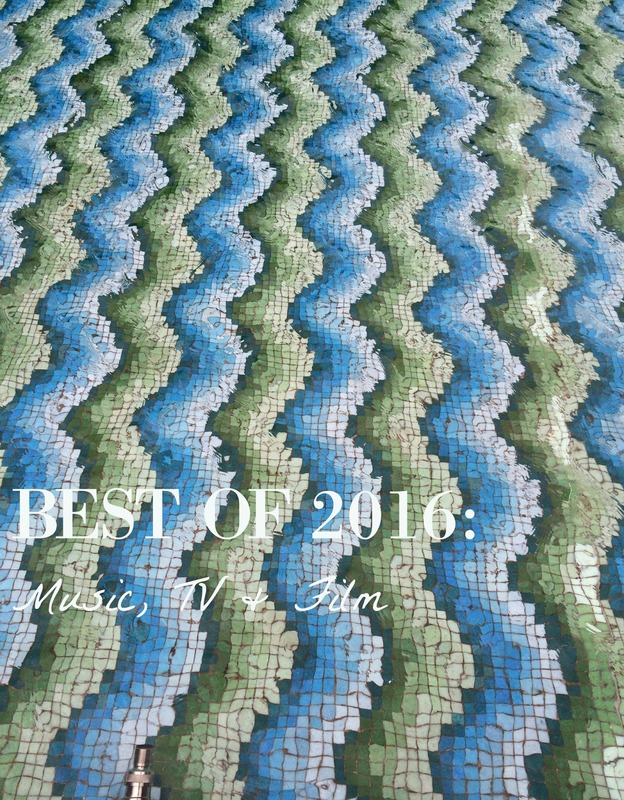 What were your Best of 2016’s?